Grace is the bottomless well of God’s unconditional love, mercy, forgiveness and pardon. It is the gift of unmerited favor. Those of us who receive His grace are bound to extend the same grace to others. And in the giving and receiving of grace, we find inner peace and peace with others. In our despair, we cannot imagine that life will ever be good again. By living in gratitude mode—counting our blessings, continually saying thanks—we can move from despair to confidence. We can find joy in our memories of the past and our anticipation of the future. Love and discernment, coupled with a quest for excellence, lead to good decisions and healthier relationships. Widows who faced life alone without fear, courageously overcame obstacles, found joy even in times of crisis and lived purposefully and contentedly serve as role models and mentors for those of us who follow them. If our expectations are realistic and our hopes are grounded in faith, we can find contentment and purpose—even joy—in our new role. When we quit focusing on our own loss and begin to focus on the needs of others, when meeting their needs becomes more important to us than our personal desires, we will find meaning and purpose for our lives. We open ourselves to joy. Family unity is essential to successfully navigate the treacherous waters of settling, managing and dividing an estate. Therefore, strengthening family bonds should be a top priority for every new widow. If we as widows value our family relationships, we will encourage our family by extending to them the same love, respect, kindness, fairness and generosity that we want and need. In being more concerned for the welfare of others than for ourselves, we forget our own needs and pain and discover the joy of serving and giving. When we let go of our false pride and acknowledge the areas where we need help from others, we cultivate an attitude and an atmosphere where we can learn and grow. Before we can find serenity, we must process our grief and acknowledge that we are helpless to change our circumstances. When we accept the reality of our loss and all that it means, we can claim the wisdom and serenity that lead to joy. We are more likely to know ourselves, to search our hearts and to reflect on our emotional reactions and their meaning in solitude than in crowds. When we develop self-understanding, we take a giant step toward experiencing joy. True friends genuinely care for us and want the best for us. They are there for us in the bad times as well as the good times. In extending hospitality to others, we nurture strong relationships that enrich our lives and the lives of those around us. Finding joy, especially at those times when the empty chair is painfully obvious, is difficult but possible. It requires careful advance planning, intentionality and enlisting family and close friends for support. We almost surely will encounter those who do not have our best interests at heart; but with God’s help, we can find the wisdom and courage to resist them, while not allowing them to make us bitter or untrusting. Getting one’s priorities in order—learning to do what must be done without neglecting what really matters in life—requires self-awareness, time management and extraordinary self-discipline. We become the mature women God intended us to be when we refuse to linger in the past but move into the future with optimism, courage, wisdom and confidence. As we develop confidence in our ability to meet our responsibilities with wisdom and discernment, we press on to the goal of being fully mature, accepting our circumstances and living life well. By examining the lives of widows whom we admire, we can identify the attributes we need to move from grief to joy and choose the kind of widow we want to become. Faith in a loving God who has promised an eternal, perfect destiny for His children gives us hope as we anticipate being reunited with our loved ones some day. Like an army needing to close ranks in combat, in times of grief and crisis families need to put aside their disagreements and stand firm, presenting a united front to the world. The logic is inescapable. Widows usually find that relationships bring us our greatest joy. Gentle, loving words and actions contribute to strong relationships. Therefore, developing a gentler nature—learning to bridle our tongues and control our tempers—will improve our relationships with family, friends and those with whom we do business. We can be both strong and gentle. When our hearts are filled with gratitude, we have little room for immobilizing anxiety, fear and misunderstandings. Letting go—turning them over to God—exposes the soul to the peace of God, which is the first step to reclaiming joy. To sense the peace of God continually, we need to fill our minds with that which is good, wholesome, lovely and worthy. We need to fill our time with people and activities that promote healthy attitudes. Most of all, we need to model these virtues in all our relationships. Our pretense of strength as new widows is the mask we wear to hide our weakness and vulnerability. Only when we acknowledge our discontent with our new role and admit that we are powerless to change our circumstances will we be ready to draw strength from our family, friends and faith. Then we can find contentment. If we are generous in sharing our time and treasure, gracious in accepting the generosity of others and thankful for every good gift and kind act, we will—through the grace of God—find the joy of abundant living. Life can be good again. A giving spirit flows from the acknowledgement that everything one has is a gift. The open hand of friendship and generosity—not the closed fist that clings tightly to every penny, as well as to every feeling of hurt, anger, bitterness and unfairness—is the key to joy. 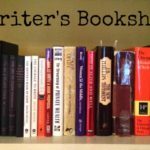 For the last three years I have been writing a book, RECLAIMING JOY: A PRIMER FOR WIDOWS. About two years ago, somewhere near the end of Draft 2 or 3, I started adding Lessons learned at the end of each of the 28 chapters. The last of them were written earlier this spring, as I wrote my fifth (and final) draft. I never strung them together to read all at once until now. Reading them, I feel like I’m holding a roadmap for traveling from grief to joy. Eight years of grief, reading the Apostle Paul’s letter to the Philippians and saying “Thank you, God, for…”; three years of wallowing in Philippians, writing, reading the literature of grief, talking to other widows, remembering family stories, reflecting on my own successes and failures; and this is what I have learned. It took me three years and 60,000 words to fully grasp the significance of these 28 lessons, 1,000 words. Regrettably, like so much else in my journey, what my head knows doesn’t always translate into appropriate action. I don’t always practice what I preach. 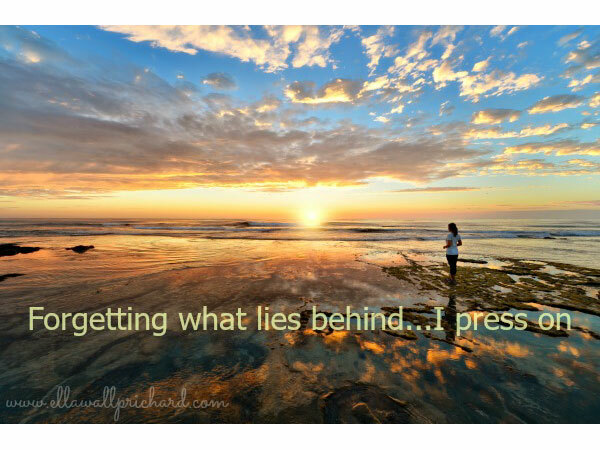 But like Paul, forgetting what lies behind and reaching forward to what lies ahead, I press on toward the goal…. 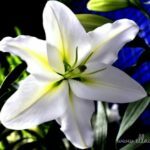 You may be writing this with the aim of bringing solace to other widows, but I find great wisdom and comfort in what you have to say about grace, joy, peace. It’s good to be reminded of such wisdom about life. Thank you for sharing. Thank you, Susan. Yes, my primary audience is widows, but we all suffer losses–relationships, finances, health–and I believe there are universal principles that can guide us in moving from loss and discouragement to joy. I appreciate the affirmation that there is a broader audience than strictly widows.